8th March, International Women’s Day is about to knock the doors and businesses are all ready to greet it! There will be celebrations honoring the success and achievements of women around the world. Gender parity and women empowerment will be the key addressable issues. 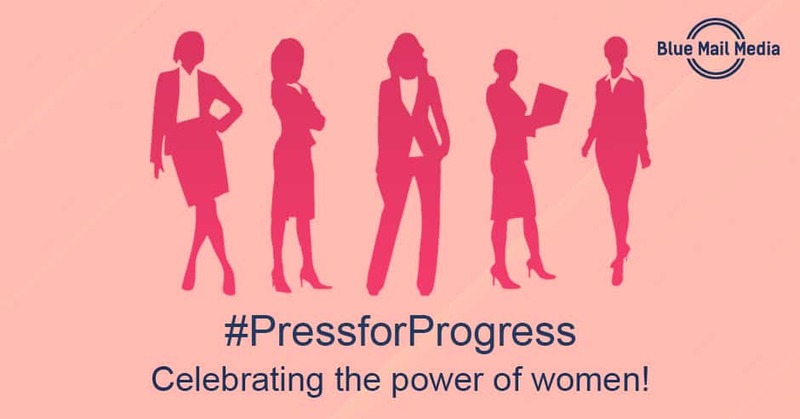 And the major focus of B2B marketers will be to give voice to women’s rights and to advertise their brands by drawing campaigns with the theme #PressForProgress. If you are one among such marketers looking to find business opportunities this International Women’s Day, pause before you begin! Women’s day is the occasion when organizations and individuals come together to gift women the celebrations of women empowerment. What can be better than narrating tales of their own success stories? You can also create infographics, presentations, or blogs speaking about some of the successful women in a specific field. Such pieces of content are likely to be more engaging for female audiences. This International Women’s Day, go beyond the term ‘general awareness’. Don’t just talk to the female audience about their problems. Give them something more – the solutions to their problems. When we talk of going beyond general awareness, we can’t skip mentioning Microsoft’s #MakeWhatsNext campaign. The #MakeWhatsNext campaign encourages girls to enter and win their dreams in the tech and science worlds. It was a short film wherein little girls talk about their big goals. The video also tells the ways and steps the girls can take to fulfill their dreams. On this occasion, you will talk about the top women entrepreneurs of the world. You might also post some of their inspiring quotations on social media. But how about celebrating the achievements and success of your own female employees? Campaign monitor has done it and not to surprise; we really liked it! Campaign Monitor interviewed some of their female employees and featured them on their blog page. Such marketing practices let your brand connect with the readers on an emotional level as they get to know more about you – more than just a brand. When people see that you honor and care about your employees, they are more likely to trust you. To connect with the female customers, you don’t always have to come up with a ‘Buy 1 and get 2’ offer. This International Women’s Day, try stepping out of the mainstream marketing ideas and do something different. IKEA Switzerland brought a unique idea to celebrate the occasion. It introduced a two-month paternity leave so that fathers can share the responsibilities of mothers by taking care of their children. Such practices tell your audiences that you are a brand that cares about its employees and can go to any extent to prove it. So, this International Women’s Day, try these marketing ideas and connect with your female customers on a much better level!